Make these sweet, light and creamy Raspberry Cream Filled Lemon Amish Friendship Bread Cupcakes for your next Valentine’s Day Party! Make these sweet, light and creamy Raspberry Cream Filled Lemon Amish Friendship Bread Cupcakes for your next Valentine's Day Party! For the cupcakes, beat together all liquid ingredients until well blended. Add all dry ingredients and beat until smooth. Fill baking cups ⅔ full. Bake 25 minutes or until a toothpick inserted in the center of the cupcake comes out clean. Cool on wire rack until completely cooled. To make filling, beat 2 cups Vanilla Bean Frosting and ½ cup seedless raspberry jam until well blended. After the cupcakes have cooled, use a pastry bag with a #230 decorating tip to fill each cupcake with the cream filling. Just insert the tip about an inch and a half and squeeze until the cupcake is full. 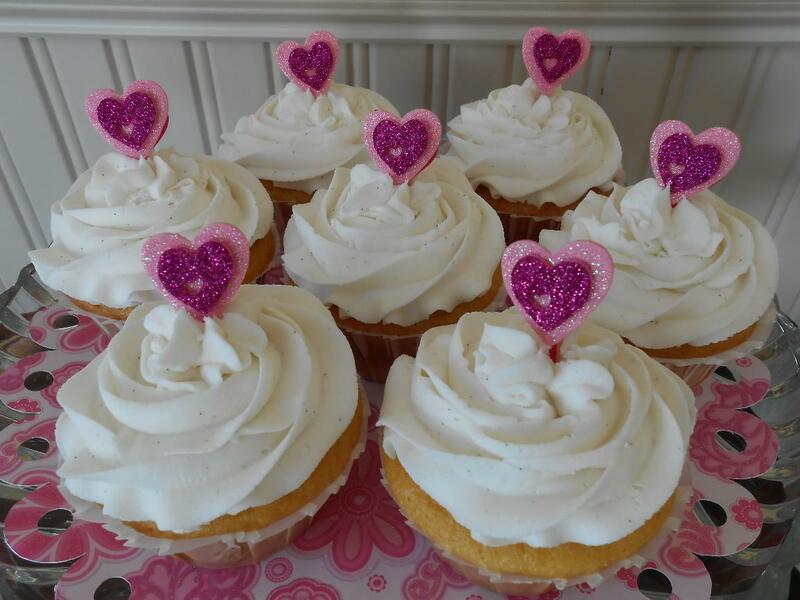 Use another pastry bag with a decorative tip of choice, fill with Vanilla Bean Frosting and frost the cupcakes. I just bought lemon extract the other day. I’m looking forward to making these for my daughter’s birthday later this month!